Massive online multiplayer gaming sensation 'Fortnite,' has re-released their 50 versus 50 mode until December 28. If you were as big a fan of 'Fortnite's,' 50 versus 50 mode as I was, and were as crushed as I was when it was shut down, then fear not! 'Fortnite,' is back with their 50 versus 50 as of today! That's right, Epic Games is having mercy on us gamers and bringing back the game mode we all loved so much. According to Scott Duwe of Dot Esports, "Due to popular demand, 'Fortnite: Battle Royale's,' limited time mode will be returning for the holidays, Epic Games announced today." Scott's article goes on to share that limited time mode will be back from December 23, 2017, until December 28, 2017. If you didn't really like 50 versus 50, I can understand why you didn't. It is a hectic mess in a lot of ways right from the beginning when you first land and pray that where you land there are green arrows, indicating friendlies. It remains messy all the way to the end game where it's yelling "this is Sparta" and jumping straight into enemy gunfire. The negative effects of playing the mode are pretty mellow compared to the positive effects. Negative effects include not being tracked on your server's leaderboard, meaning any kills, wins, and placement goals that you accrue by playing, do not track as if you were playing squads. 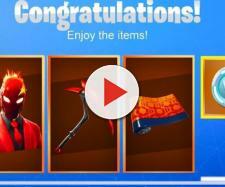 This is obviously a choice made by Epic Games because this is just for a limited time. So it's just a waste of time right? Wrong, actually quite the opposite now that the new 'Battlepass,' has made it's grand appearance. As you play, your kills and wins may not be counted in-game, but you still get your experience points at the end of each game. In other news, we also saw in the news section of the 'Fortnite: Battle Royale,' a new game mode is coming soon. If you go in-game and go to the battle royale menu screen, you can find the news page and read about a mode containing squads versus squads with explosive weapons only! What does that even mean? Is this just going to be some chaotic scene that is just normal squad fights, only with just rocket launchers and grenade launchers? Are they going to mod their own weapons to where you can just pick up an assault rifle, and it shoots explosive rounds? Other than Blowing Your Mind with that concept, they also announced the addition of a new weapon called a 'Boogie Bomb.' I'm not sure what that is going to do, but I imagine that it will cause your opponent to emote uncontrollably, or just stun them in a silly way for a few seconds. Either way, I'm excited to see what it does, mainly, because it sounds like a game changer. Imagine being in a game of duo and it's you and your friend against one more team of two. You throw this 'Boogie Bomb,' and hit the team just right and now they are stunned. You and your friend can move in and easily get that win.